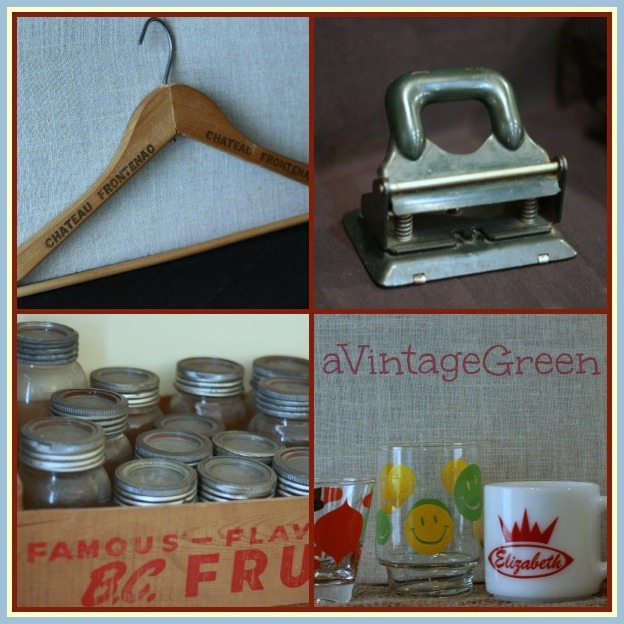 April was a month of 'finally there are some garage sales' plus a few church and school garage sales. Whew. I know many of you who are also resellers look forward to the garage sale season as well to increase your stock. 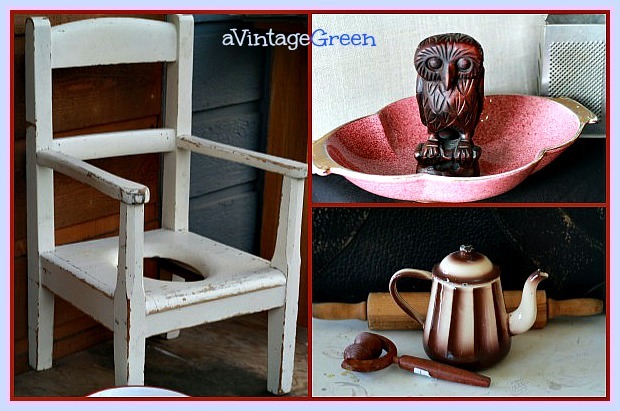 I am fortunate to be a reseller at Village Antiques Mall in Fort Langley BC. Some finds I do add to my own collectibles and vignettes, the majority of finds are for resale. Part of the fun is finding stock that customers want now. Trends change. Flexibility is important. Mid-Century Modern is big right now. Its been big in the USA for much longer than in Canada but it is has certainly caught on here. Interesting to me: before I learned the term 'mid-century modern' I was selling that era but called it vintage kitchen, vintage home decor. 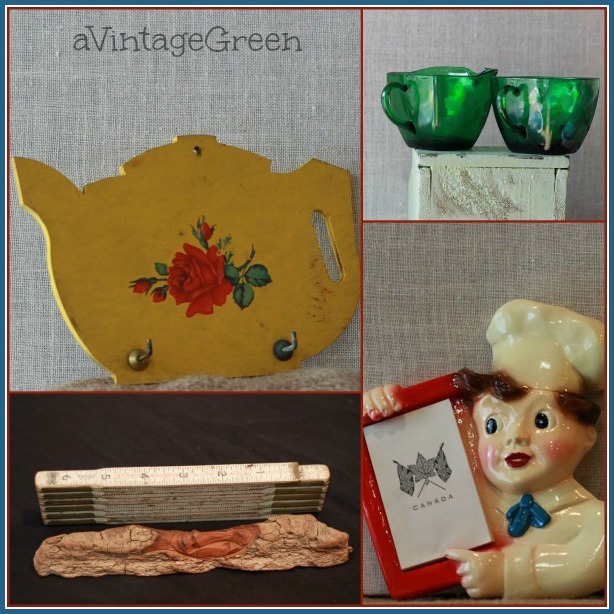 The collection of items in todays post were found at many different venues, garage sales, estate sales and thrift stores. What did I do to tweak my finds this month? Cleaned, painted a few pieces, took photos, tagged, put them in my booths and then wrote this post showing a few of my favorite finds in April. 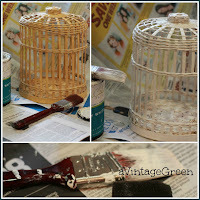 I just added the 'search' gadget to my blog, it lets anyone look for similar topic posts on a blog. Love using it when I want to look something up but can't remember the date I wrote it. 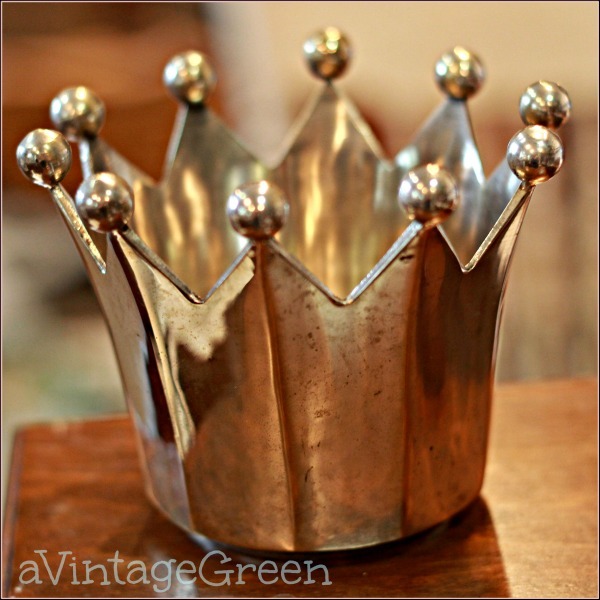 Two previous posts I wrote about my experiences as a reseller in an Antiques Mall are (getting started) and (organization). Great finds! Garage sale season started here too but no vintage...I did buy a space heater for five dollars for our patio though! Cheers! Love your finds, Joy! I sell the majority of what I find, too...it's great to have outlets to sell at! Love that yellow teapot, wood cutout! Great finds! That first picture of the 'crown'... is it just simply a crown? or is it a small bowl? Cool items! I think being able to buy for resale would be so much fun! 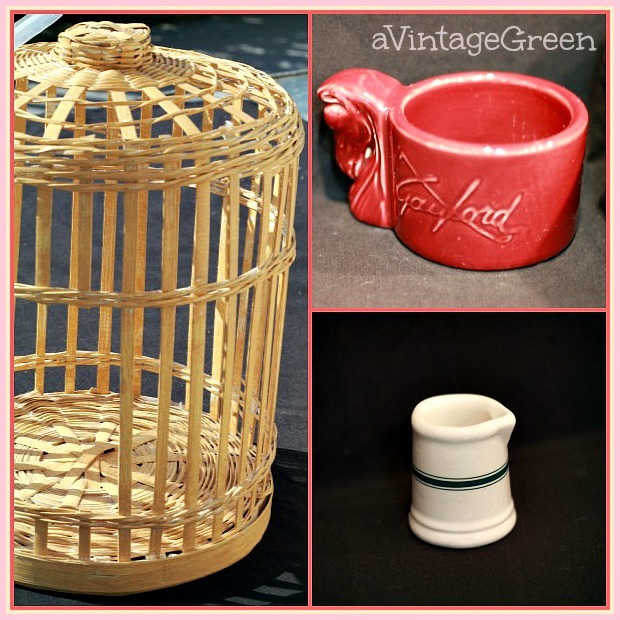 Great items especially the red gaylord piece, is that a planter or a mug? Our rummage sale season has just started and I am thrilled. Wishing you success at your booth. Medalta Pottery (made in Medicine Hat Alberta many moons ago). Shaving mug. Great finds! I just get so excited when the weather starts warming up and I can look forward to the weekend garage sales. Great mosaics! Vintage kitchen items simply make me smile. It brings back the simplicity of home that we all yearn for in today's fast paced world. The crown is amazing! Wish I could go shopping with you...love your finds! Great post and photos. I love mid century. My eye caught that little white Elizabeth mug. How sweet is that! You have so many cute finds. Glad you are able to have a place to resell! Fun! Love your vintage finds. Mid-century modern is certainly one of my favorite periods to shop for. I have some around my house, but most of that is what I grew up with--things that belonged to my grandmother and mom. I sell much of what I buy in my Etsy store. Your teapot potholder holder (that sounds weird) is so adorable. You found some great items. I LOVE the finding part. Don't you? So much fun to be out picking. lol I'm so glad you joined us at Transformed Tuesday. I look forward to being on summer vacation when I can shop at places such as yours! How fun. Love vintage modern items!